If you’ve been lifting weights or exercising for some length of time, you have most likely experienced knee tendon pain of some sort. This is very problematic for the competitive athlete where matches are every week or high training loads are needed for upcoming competitions. So what if there was an exercise you could perform to IMMEDIATELY reduce tendon pain so you can train or compete for/in important events? Check out my latest Tnation article for all the insight. Also, see this video HERE for our favourite knee eccentric exercise for patellar tendinopathy. 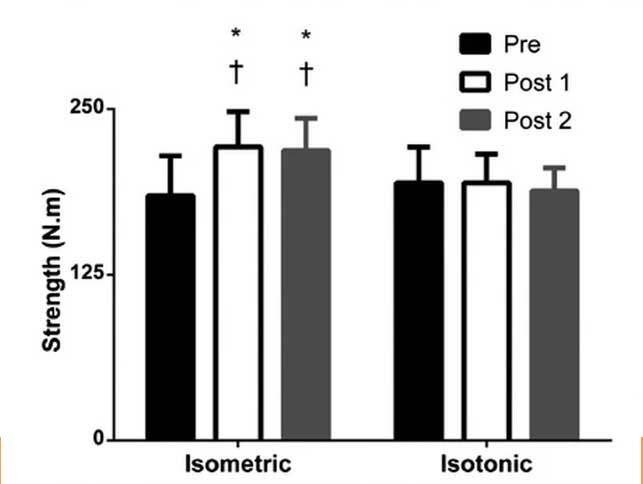 It is much less aggressive than the single leg decline squat mentioned in this Tnation article. 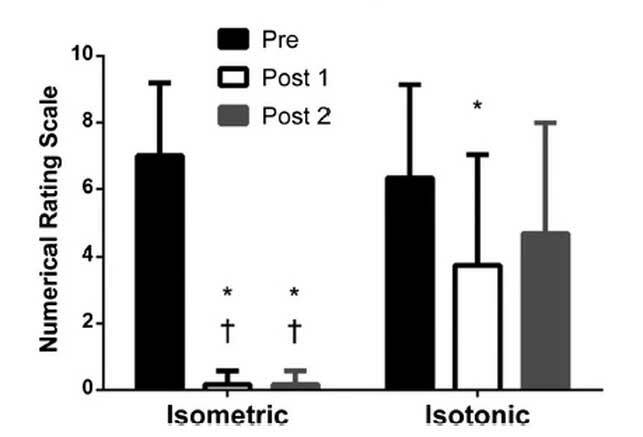 Results of pain & strength between isometric & isotonic pre, post and 45mins post intervention.